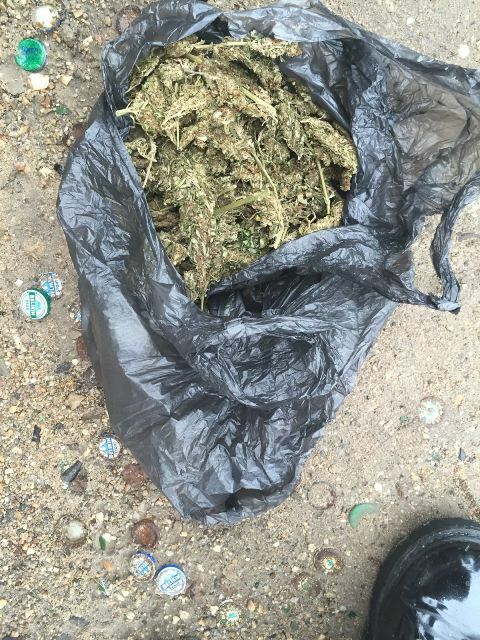 Hours after that, officers from the Rural Eastern Division’s Rapid Response Team found another cache of weed. At about nine-thirty, they conducted searches on several male persons hanging out at the Chinese shop in the community of Bermudian Landing. While nothing was found on those persons, a search in the immediate vicinity yielded a black plastic bag under a blue metal sheet of zinc. Inside was cannabis which weighed ninety-six point three grams. It was confiscated by Police and labeled as found property.